Welcome! Dr. Saulis is pleased to welcome you to her plastic surgery practice website! At Aesthetic Plastic & Reconstructive Surgery, S.C. every patient will be provided with the best plastic surgery care in the Hinsdale, Elmhurst, La Grange, Naperville, Oak Brook, Western Suburbs and Chicagoland area. Dr. Saulis combines her surgical technique and experience with an artistic sense to obtain the finest in plastic surgical results. Dr. Saulis’ staff is caring, responsive and knowledgeable, and help Dr. Saulis create a comfortable environment for you, the patient. Dr. Saulis’ goal is to make your plastic surgery experience as positive and pleasant as possible. 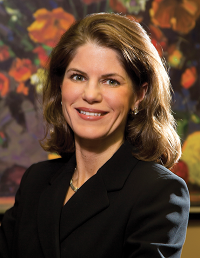 Dr. Saulis is one of the few female board-certified plastic surgeons in the Chicagoland area. Her areas of specialty lie in body plastic surgery, body contouring and body reconstructive plastic surgery which includes breast augmentation, breast lift, breast reconstruction, breast reduction, abdominoplasty or tummytuck and liposuction. Dr. Saulis is on staff at two Chicago area hospitals: Elmhurst Memorial Hospital, and Adventist Hinsdale Hospital. All of these facilities are JCAHO approved indicating that they fulfill the highest criteria set for patient comfort and safety in the industry. Should your procedure require sedation or general anesthesia, each of these facilities is staffed by board-certified anesthesiologists with the highest credentials, many with additional training above and beyond basic anesthesiology. You should be comfortable that you will be in the best of hands while undergoing a procedure with Dr. Saulis. Dr. Saulis earned her MD from the Northwestern University School of Medicine in Chicago, Illinois. She did both her residency training in General Surgery and her fellowship training in Plastic and Reconstructive Surgery at Northwestern Memorial Hospital and its associated hospitals in Chicago, Illinois. Dr. Saulis is board certified by the American Board of Plastic Surgery and a Fellow of the American College of Surgeons. She is an active member of the American Society of Plastic Surgeons, the American Society for Aesthetic Plastic Surgery, the Association of Women Surgeons and the American Medical Association. Dr. Saulis has authored and co-authored 10 articles and book chapters in the scientific literature pertaining to plastic surgery and its practice. She has received research grants and industry financial support for her work in scarring and wound healing as they relate to the field of plastic surgery. She has spoken and lectured at numerous prestigious plastic surgery meetings across the globe and continues to engage in lecturing activities in her local area. Her private practice focus has primarily been on cosmetic facial surgery, cosmetic body contouring surgery and breast reconstruction after mastectomy. Her goals are to provide all her patients with a positive surgical experience that results in the best aesthetic outcomes possible. Please feel free to study this website for information regarding Dr. Saulis, her practice, and her patients. A few representative photographs of patients have been included on this website to help you understand what to expect from surgery. Additional details regarding a specific procedure or post-operative expectations can be discussed with Dr. Saulis in a private consultation. This website is full of information regarding cosmetic procedures performed by Dr. Saulis. Dr. Saulis would like all her patients to be informed decision makers when it comes to any plastic surgical or cosmetic procedure, as informed patients are better prepared to make good decisions regarding their health and well being. Dr. Saulis encourages you to look through these pages to better understand the procedures you might be interested in pursuing. As you navigate this website, you will find information about Dr. Saulis’ practice philosophy, background information about Dr. Saulis, her staff, office hours, location, financing options, appointment procedures, and maps and directions to our office. Life can be very hectic and Dr. Saulis is committed to making her practice convenient and accessible. Your consultation is an hour-long, one on one interaction with Alexandrina S. Saulis, M.D. Once you have scheduled surgery, a pre-operative visit will be arranged where any additional questions will be answered.